This is a short post written by my friend Ganesh. 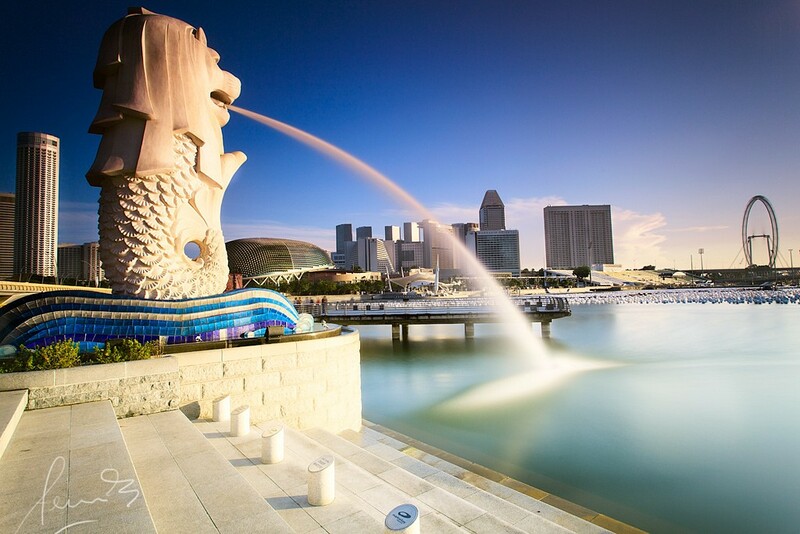 Ganesh lived in Singapore for more than 3 years and explored every nook and corner of this little island city-state. He now probably knows more about Singapore than any local there; so if you are planning a trip to Singapore, talk to him about offbeat locations and food – it will save you a lot of research time. This post, however, deals with the perceptions he had about Singapore before landing there and the reality he saw. Read on. Images I had in mind about Singapore before I landed here in 2012: A nation where everything happens like clockwork, hardworking people (like that of Japan), exceptionally modern, slick high-rises and fashionable people. A friendly 70-year old taxi driver uncle captured it well for me: “They (the government) form a protective shield around us, without which, we will be like the rest of Asia”. Very true. What if you can’t chew gum or bad-mouth your government. In return you get awesome roads, houses, parks, clean air, 0.5% Crime, 0.5% corruption, ultra-efficient government processes, jobs, cheap tasty healthy food, clean public toilets, terrific public transport and more. What more can one ask for. But knowing the three races that form a majority here – the Chinese, Malay and Indian – it was tough for me to believe that there has been no serious dissent or opposition to government. The quiet, benevolent dictatorship has had a smooth ride for over 50 years. This also probably goes to show that big brother is watching and snipping away at anything that looks ugly. But again, the pros of this far outweigh the cons 100 to 1, so who cares. I am from a perfect democracy where everybody has a loud voice, but I was happy to trade in some of that freedom for better things in life. Even with those swanky high rises and fancy streets, Singapore still retains the old world Asian charm. The hawker centers, HDB’s, Little India, China town, Joo Chiat, Geylang Serai, wet markets, people sitting outside eating durians, hot pot parties and sea food buffets – all contribute to this. Food is the center of life – and they’ve got it right with that. You get exposed to various cultures of the world and meet a lot of fun people – the cribbing ang mohs, self-proclaimed IT experts from India and Philippines, the Thais, the Vietnamese, people from Myanmar, Malaysia, Bangladeshis, Pakistanis, Nepalis, Arabs (no idea what they do) – and people from just about anywhere from the world. Singapore SGD is also like honey to its poor neighbors. Very similar to rest of the world and the woes are the same. Addicted to smart phones. You will not see a single youngster look at anyone’s face on an MRT (a smile in a public place is as rare as snow in Singapore). I feel they have taken the sacrifices of the pioneering generation for granted. Rebels without a cause (blame government, blame Expats. Similar situation in most other countries too). All kids under extreme pressure to run the race better than others. Tuitions, thick eye glasses all around. Singapore is very protective of its citizens. Other than a bit of suppression in rights of expression, life is great for citizens. But what I found appalling is how the government turns a blind eye to what happens in Geylang, Ktv’s and BMD bar’s. Probably the only grey spot in an otherwise small and exciting country. I also hope and pray that, one day, my motherland India will emulate all the qualities that make Singapore a great place for its citizens. Have you lived in Singapore? If so, do you agree with Ganesh’s observations? very short and nice briefing … i do feel like to explore the way you did. explore people(meet different people around the world) and culture .